TAB Technologies is The Only Manufacturer of Digital Video Recorders in India, Manufacturing the only Made in India Standalone DVRs since 2007. We are the only INDIAN CCTV Manufacturer providing completely Indian CCTV System Solution i.e. CCTV Completely Made in INDIA. All the DVRs manufactured by us are Full D1 DVRs providing the best clearity in playback also, which is not provided by other DVRs .All our DVRs are according to Indian conditions, users and India requirements. We are always getting the best response from all users of our DVRs, Dealers and Distributors of our DVRs as all other DVRs available in India are only Chinese DVRs and we are offering the only Indian DVRs according to Indian Scenario. We have started High Definition Recording & Playback CCTV Systems First Time Worldwide. We have created a lot of landmarks in world of CCTV Industry and made India feel proud by completely Indian CCTV Systems completely manufactured in India by TAB Technologies. TAB Security Technologies (INDIA) Private Limited (Our Manufacturing Unit) has technical collaboration with Vineyard Technologies, Inc. USA. We have the highest technologies in Standalone DVRs, world wide. TAB Technologies, D-TAB Security Systems and D-TAB Systems are the Sales & Support Unit. We always appreciate all ideas & suggestions from all Users of our DVRs. We Develop our products with help of our Distributors and dealers by adopting all the acceptable suggestions to improve the products according to Indian Users. So, each and every distributor and dealers is contributing in manufacturing Indian CCTV System which is completely made in India CCTV System. We are the world's first to introduce SATA HDD Interface in the DVRs and the Hindi Interface and we also created so many landmarks in the Industry on Standalone DVRs. We are the only CCTV Manufacturer in India, providing Free Life-Time Telephonic Support*, Free Online support for Life-Time & Life Time Warranty (Including one year up to replacement warranty & Service warranty after one year) to all our continued Dealers & Distributors# on all our DVRs. 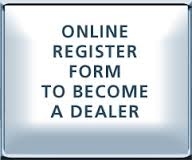 # Dealer / Distributor must have above Rs. 10,000/- purchases on monthly basis to avail the Life-Time Services. DVR Web Clinet Support for all Internet Browsers TAB Technologies Introduced a new Series of completely Made in India DVRs with Web Client Support on Internet Explorer, Mozila Firefox, Google Chrome, Apple Safari and many more Internet Browsers with the help of Adobe Flash Player as the video player as a multi-platform Client. The TAB DVR Client is Platform Independent client, completely developed in India which can work on all browsers in all operating Systems like Windows, Linux (all Versions), Unix, MAC OS. This TAB Web Clinet of DVR also work without compromising security of computers which is always compromised by in all other DVRs by loosing Security of computers loosing ActiveX Components security and manipulating firewall settings of client computers used for viewing DVRs. Launch of World's First High Definition DVR TAB Technologies Launched World's first High Definition DVR with a analog to Digital conversion in 1280 x 720 Pixels in recording and playback. We launched Full High Definition DVRs in 4-channel and the High Definition functionalities are also available in first two Channels of 8-channel DVRs. Soon, we are planing to launch Full HD DVRs in 8 and 16-channels. We Are Proud to be World's First Manufacturer of High Definition DVRs.